Neuschwanstein Castle is one of the most famous sights in Germany. Well are you wondering how famous is it? Considering 1.5 million people visit this cultural monument every year , it is safe to say – It is pretty famous. But who built it ? Why was it built and more importantly what makes this place so famous? Is it a museum or just another pretty looking building in middle of Bavarian landscapes – I needed answers to all these questions before I decided to visit Neuschwanstein castle . I mean there is no fun in going this far just to find yourself standing on a bridge taking the picture of a castle which yes I agree happens to be Walt Disney’s inspiration for Sleeping beauty’s castle – I needed something more – I wanted to know more. 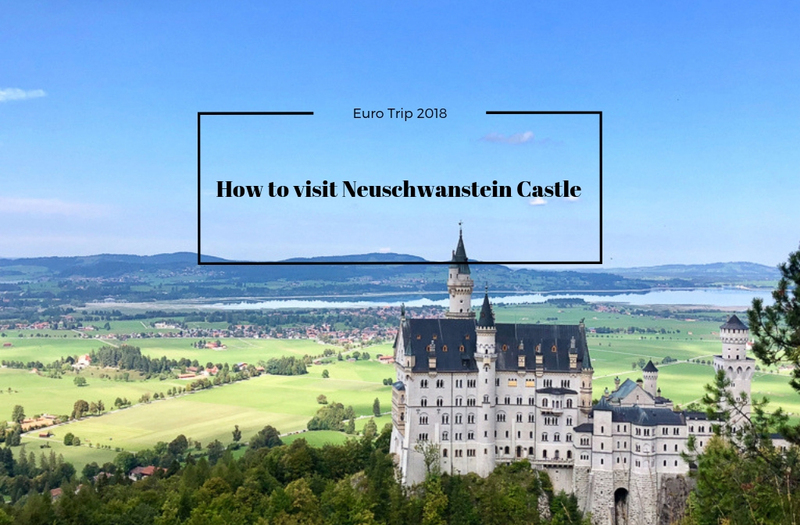 So i hope this blogpost not only gives you tips on how to visit Neuschwanstein castle without the crowds but also makes you inquisitive to dig more into the history of this castle . 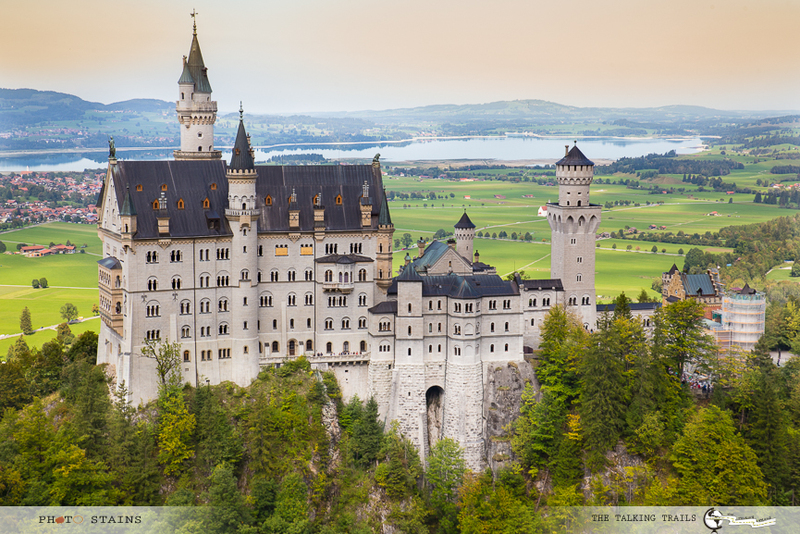 What are Neuschwanstein and Hohenschwangau? If you are visiting Neuschwanstein , you will most likely visit Hohenschwangau too. These are two castles that are next to each other and represent the troubling past of King Ludwig II, who was the King of Bavaria from 1864 until his death in 1886. King Ludwig II was a man of eternal mystery. He suffered from depression and shyness throughout his life. 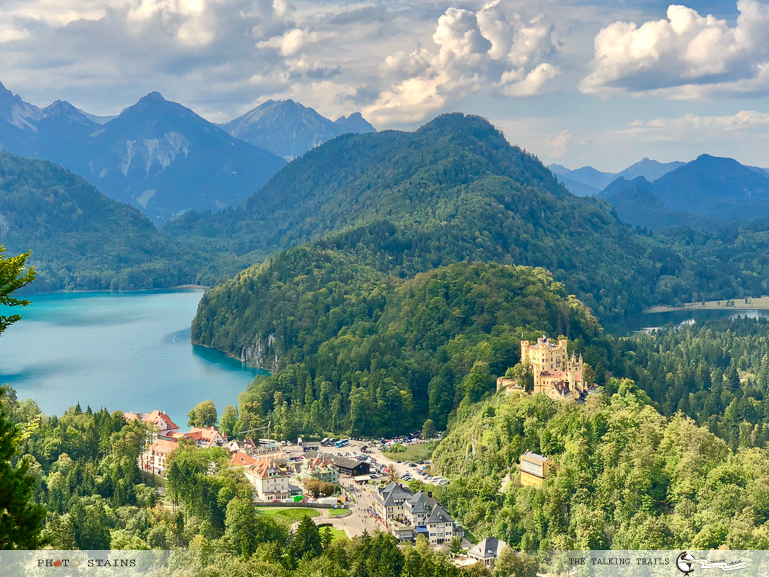 Hohenschwangau served as the summer palace for the King LudwingII when he was young but after his father’s death, Ludwig took up residence in Hohenschwangau and actually started living in it. He had a child like imagination and in order to recluse himself from the reality after losing a war against Austria , he started building an imaginary world of castles and palaces where he could rule as a KING forever. One of the first castles to fulfill that illusion was Schloss Neuschwanstein (“Schloss” meaning castle/palace). Construction of Neuschwanstein castle began in 1869. It was designed as a kind of private retreat for King Ludwig, with much more of a creative–rather than a functional–purpose. The “ideal monarchical poetic solitude” which the king chose for himself was not in the long run compatible with his duties as a head of state. When foreign banks threatened to seize his property , the king refused to react rationally forcing the government to declare him insane. Ludwig II was interned in Berg Palace. The next day he died in mysterious circumstances in Lake Starnberg, together with the psychiatrist who had certified him as insane. Note : Ludwig II never saw the final Neuschwanstein, according to the Bavarian Castle Administration. He died in 1886, and the final towers weren’t completed until 1892. But within weeks of his sudden and mysterious death, the magnificent castle was opened to the public, where it quickly became one of the region’s most visited attractions. 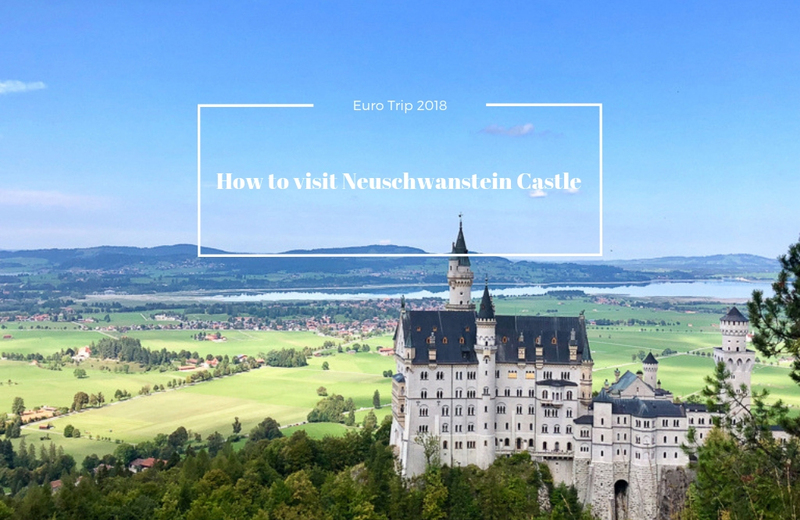 How to get tickets for Neuschwanstein and Hohenschwangau? 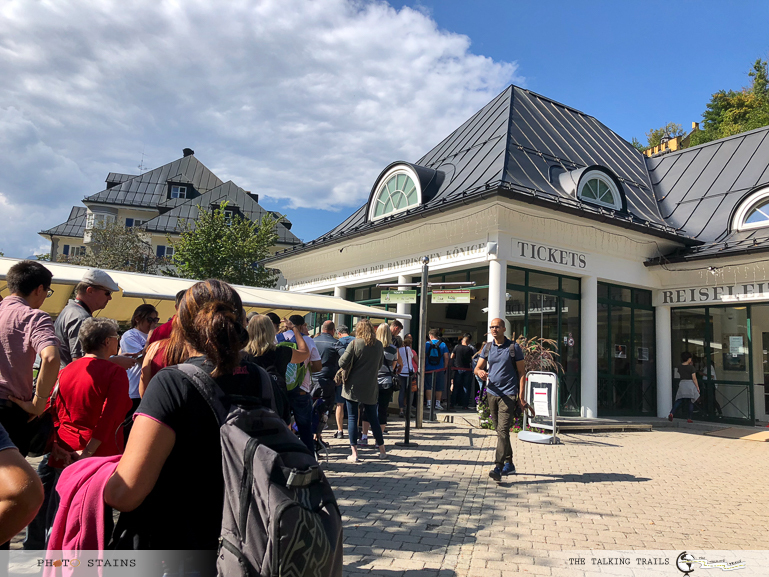 Unless you have pre-booked the tour online , there is only one place where you can get the ticket for the castle -> at the Ticketcenter Hohenschwangau in the village of Hohenschwangau below the castle. In case you intend to take a guided tour , keep in mind that your entrance ticket is valid at a particular time. And since the tours begin punctually , allow sufficient time to get up to the castle. If you arrive too late you will no longer be able to participate in the tour. Admission charges : 13 euros regular , 12 euros reduced , Children and young people under 18 are free. Please note that entrance tickets for a particular day may get sold out and hence it is better is you reserve tickets well in advance. How to Avoid the Crowds at Neuschwanstein? This castle is one of those places where every tour company will have a stop, every fairy tale lover will want to sneak a peek and every historian will like to visit. It is insanely popular and more importantly it gets insanely busy as the day progresses. 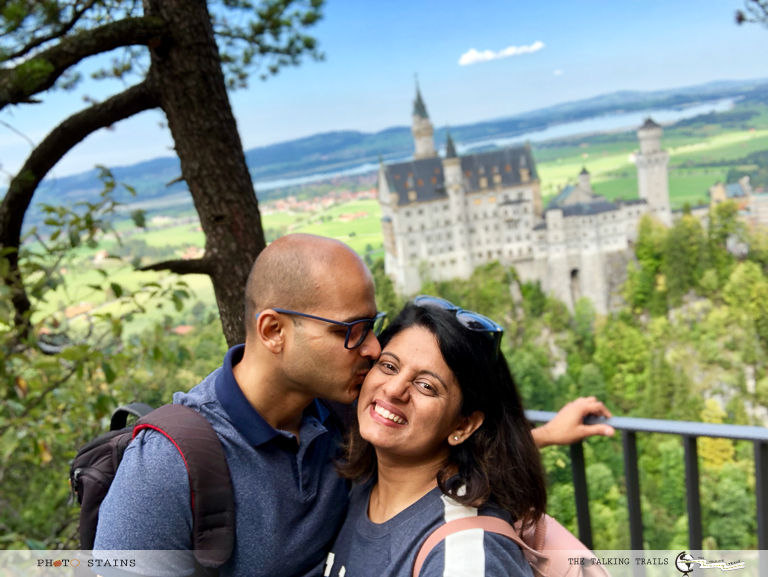 Neuschwanstein Castle is less than 2 hr drive from Munich and makes for an excellent day trip from Austria and Switzerland , hence you can imagine the popularity of this spot even among the locals. It is for this reason I will highly suggest to reach there as early as possible. Preferably, arrive about one hour before opening time to purchase tickets for the first tour of the day. If you reach early , you will be able to find parking in the nearest parking lot , the wait time in ticket line will be not much and more importantly you will not be knocking your elbows with fellow travelers while taking selfies . Give yourself around 90 mins margin if you have not pre-booked the guided tour. The wait time in ticket lines can be really long. Note : Midday is the worst time to visit this place. If this is not the first stop of your day , make it the last. Needless to say the summer months mark the peak season at Neuschwanstein. If you can manage to visit the castle in off season which is from November through March , you will practically have the whole castle to yourself. I can only imagine how beautiful the castle will look with fresh snow covering the pines around the castle. Totally blissful. Shoulder Months of October and April are great to avoid crowds too. Well if you have not followed my “How to avoid crowds” pointers above , you will see a complete madness. Lines everywhere. Lines to get the ticket. Lines to get into the bus. And then of-course line to get on to the bridge at perfect spot to get a pic with the castle. If you have pre-booked a guided tour , it will last for about 30 – 35 mins. Once the tour is over , head to Mary’s Bridge. Or let me put this way , even if you have to miss the guided tour , DO NOT MISS MARY’S BRIDGE. This is the bridge from where you will get your post-worthy , instagrammable, keepsake and remember it forever moment kind of shot. Note : The bridge is extremely busy with people. Have patience and wait for your turn. Just remember , we all want to take perfect photos. Once you are done , take a short hike up in the mountain next to Mary’s bridge. Just as you hike up for 15-20 mins you will reach an area , more like a vantage point with even better views of castle. 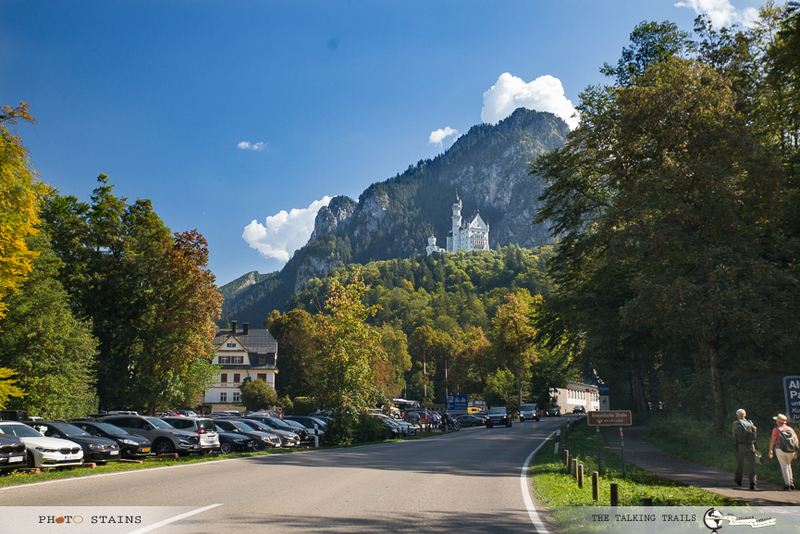 After visiting Neuschwanstein , you can head down to take the guided tour of Hohenschwangau. If not the tour , head towards the entrance of Neuschwanstein , where you can get on to a terrace and take beautiful pictures of this castle from a distance. I am sure a day spend in Neuschwanstein will be whimsical and child-like. Well that is how it was for me. I will love to hear your Neuschwanstein stories in the comments below. Was it too crowded? Did you get your perfect photo? How was the tour like? Share your experiences in comments below. Thank you so much for stopping by.